Joe plays guitar and sings at Waxy O’Connors every Monday, Wednesday, Thursday, Friday, Saturday and Sunday nights starting at 9pm. Joe Walmsley started out at age 13 in Liverpool, England, playing in various bands and performing many styles of music as well as writing his own material. He later performed all across Europe, played theatres and has been a guest on numerous radio stations in the UK discussing as well as performing his own songs. In 2001 he wanted a change from his hectic schedule and after attending some auditions, he accepted a position in the cruise line industry. Joe worked on the high seas for 5 years as lead production vocalist, as well as having his own solo show, and eventually he became Cruise Director, where he managed the whole entertainment department onboard. One of Joe’s many ports of call was Port Everglades in Fort Lauderdale, FL. This is where he discovered a little Irish bar called Waxy O’Connor’s and it became his favorite spot when he had time off of the ship. He became friends with the owners, and after experiencing his musical talent and charismatic personality, they offered him an in house entertainment position at their new place on The San Antonio Riverwalk in Texas. Joe is based at Waxy O Connors full time, but still has other outside Musical projects and recordings. In 2007 he recorded a full studio album titled ‘BELIEVE’ with some fellow San Antonio Musicians, a ten song album of original tunes. He recorded a Live Acoustic album of originals at The Arnesan River Theater in San Antonio which was released on December 5th 2013. 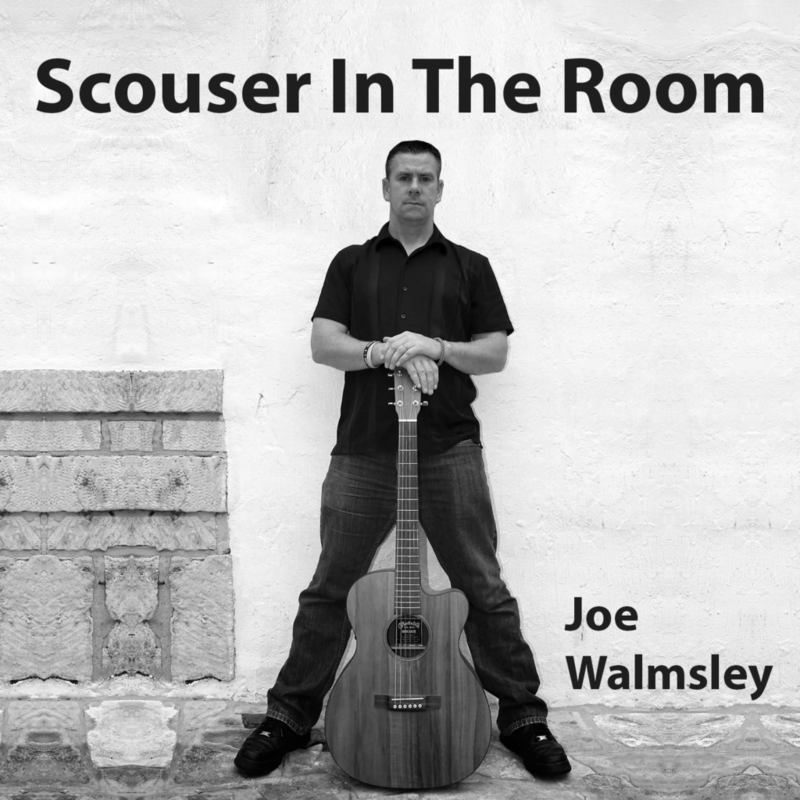 Joe also has a Brand New single titled SCOUSER IN THE ROOM (March 2016) which is now available for purchase as single download. The forthcoming album of the same title is also due for release soon. Check out the Purchase tag at the top right hand corner of this site to view all of Joe’s available music as well as SCOUSER IN THE ROOM t-shirts. Go to Joe’s website! You can buy his Scouser T-Shirt, CD’s and downloads.